You probably haven’t heard the news. I’m seven weeks pregnant today. Why do I sound less-than-excited about this occasion? Why didn’t I make one of those adorable pregnancy announcements with pictures of my first ultrasound, or dress up like a 1950’s housewife pulling a bun out of an oven? Because the baby I’m carrying in my womb today is not a baby. It’s not anything. Just an empty gestational sac, (which is fitting, because empty is how I feel inside) and a placenta. You see, I’ve suffered what is known to doctors as a “missed miscarriage.” Basically what this means is that while the pregnancy tests (yes…tests. I took probably a dozen in my excitement to make absolutely SURE I was pregnant) show a positive reading, the reality is, I am pregnant, just not with a properly developing fetus. It’s a “missed” miscarriage because we found out things were wrong before my body realized it. My husband and I had been trying for a year for this baby, but I was not ovulating for much of that year, due to complications from a condition called Polycystic Ovarian Syndrome (PCOS). Finally I was able to get my cycles back on track, and eventually conceive. A couple weeks ago (though it feels like a lifetime ago at this point) I went to the doctor for some light spotting. I had lots of other pregnancy symptoms (extreme fatigue, nausea, mood swings) and I know spotting can be a common occurrence in early pregnancy, so I figured I was just being paranoid. I went to the doctor, who did a physical exam and said the bleeding was very minor and was not coming from within the uterus, so everything looked fine. We decided to do a quantitative HCG test, to check the levels of my pregnancy hormones to make sure the pregnancy was going smoothly. When a quantitative HCG test, or “quant” is done, the first test establishes a baseline, with a very wide range of “normal” numbers. Then 48 hrs later, a second test is done to ensure that numbers are at least doubling if not tripling every 48 hours or so. I had a miscarriage in 2007 of an unplanned pregnancy with a previous partner, so I knew that this spotting looked and felt NOTHING like a miscarriage, so I figured we were ok. 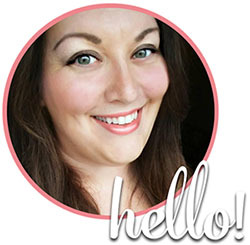 I knew that there was a chance I would have a repeat miscarriage due to my PCOS, but I have lost 50lbs recently and been taking extra good care of my health, so I was cautiously optimistic. I didn’t want to announce anything to extended family and friends yet (other than a close few) because I knew the reality of miscarrying was all-too real, and so we decided not to announce it immediately. The nurse explained to me that the numbers for the second test were not rising as expected. They indicated an abnormal pregnancy. My HCG did not double over the 48 hr period. It had only gone up 13%. She kept explaining but all I could hear was my world crashing around me. Why was this happening? I had done everything right. Unfortunately, the pregnancy was not viable. I collapsed onto our bed with my husband and cried. Crying isn’t the right word, I sobbed, I wailed, I fought back the overwhelming urge to vomit. I drained my body of tears, and when I couldn’t cry anymore, I asked my husband to go on a walk with me. I bundled up against the brisk fall air, and ventured outside in the gray, late October dampness. We walked silently down our street, hand in hand (or rather him practically holding me up) with our dog and as Bear stopped to sniff the base of a tree, I looked up at its leaves. The vibrant orange was so bright, I had to squint my eyes, the cheerful color actually causing me physical pain down to my soul. But after looking away momentarily, I looked back at the tree, knowing that I made it through this dark time before. With my previous miscarriage, I was with a partner who was unsupportive, too consumed with his own alcohol dependency to really be a dependable shoulder to cry on. Not to mention, the pregnancy was completely unplanned, and for him, unwanted. He was relieved that he wouldn’t have to shoulder the “burden” of becoming a father while I was devastated that I would no longer become a mother. I had spiraled into a deep, dark depression that took years to climb out of and we broke up a few months later. Fast forward seven years, I’m standing on the sidewalk just outside of our lovely new home, staring at the bright, tangerine leaves, holding the hand of my wonderful husband, I realized that this time was different. This time I knew I had the strength in me to pick myself up and move on, and if I couldn’t find the strength in myself, I would find it in my husband. I know in my heart that these things happen, and that they are out of my control…and yet it doesn’t help to lessen the pain. I know that there’s hope for us, the doctor is optimistic. She believes that I am deficient in progesterone and that is why I am unable to have a normal pregnancy. She thinks that a simple progesterone supplement will help fix the problem, but it doesn’t make my heart ache any less for my two babies that will never be. People say things like “you’ll have another!” and “it just wasn’t meant to be” and I know they mean well, but what they don’t see is I don’t want “another” baby. I want this baby. So how do you “get over” a miscarriage? The truth is, you don’t. You spend every day thinking about what you could have possibly done different. Then you think about how unfair this is. How much you (and your partner) would have loved the crap out of that little bundle of joy. You’ll agonize over what to say to friends and family. And every day it will get a little easier, the burden a little lighter. But it never fully goes away. The next time you see the little plus sign on a pregnancy test, you’ll be elated, and terrified at the same time. Someone who has never been through it may not understand fully, and that’s ok. You’ll want to hold your breath and cross your fingers every hour of every day for 40 weeks until you see a healthy baby emerge from your womb. Sadly for most of us who have suffered a miscarriage, the joy of announcing a pregnancy is often marred by worry. You hesitate to share your blessing with the world, because of that pang of fear, or perhaps superstitious trepidation. We see women who announce their pregnancies before the pee on the test strip dries, and we feel a mix of jealousy, fear, anger or skepticism. We see the announcements of healthy, perfect babies on Facebook and while we are overjoyed for the new parents, there’s a tugging at our hearts and a pang of bitter sadness as we yearn with every fiber of our being for our dreams of motherhood to be fulfilled. There is no “normal” reaction to miscarriage. There’s a wide range of feelings, reactions, plans, and emotions and everyone grieves and heals differently. Maybe your plan is to jump right back on the wagon and start trying for another baby the minute your doctor gives you the go-ahead. Maybe you need a little more time to heal. Maybe you and your partner are healing differently, or at different speeds. All of this is ok, and you will get through it. There’s tons of great resources out there for your physical and emotional questions, and it may bring you a little comfort (and a little sadness) to know that about 1/4 of women will go through the very same thing you are. Many don’t talk about it, and that’s why I chose to share my story. I’m not looking for pity or sympathy, but rather to share my experience, and bring to light a situation that for years was considered taboo. I am happy to answer any questions (to the best of my ability, I’m not a doctor but I can share my experiences, and offer words of guidance.) 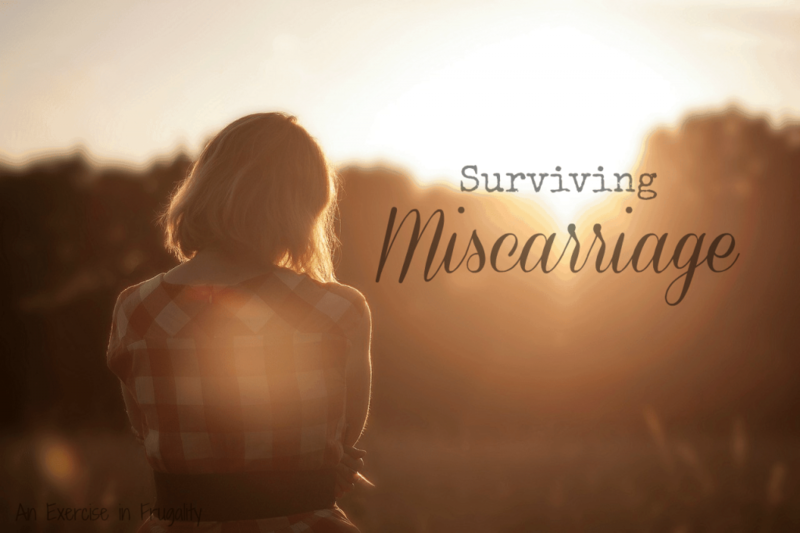 I want other women to know that life does go on after a miscarriage. It may hurt, it may seem overwhelming just to get out of bed in the morning at first, but with time, the pain loses its sharpness and life starts to go on. Just as the flowers starting to re-bloom after the devastating forest fire, and the leaves come back after the fall. So what does this mean for me? In the coming weeks, it will mean weekly blood draws to ensure my HCG is continuing to decrease. Best case scenario, I will have heavy bleeding, and it will all be over. Worst case scenario, I will have to go in for a D&C, which is an invasive procedure that becomes necessary if the body does not “pass” the tissues on its own. After that, we go back to trying again. I’m fortunate in that my doctor believes the miscarriages were caused by a simple progesterone (hormone) deficiency and is optimistic about our future conception/childbirth success. Not everyone is lucky in that regard. Right now, we are just stuck in a bizarre limbo where I’m still “technically” pregnant until my body realizes I am not. I am not sure which is worse, the sudden realization when cramping and bleeding starts out of nowhere, or knowing that the baby you’re carrying is not viable but having to wait days, weeks or longer for the pregnancy to terminate on its own. Having had one miscarriage go each way, I can tell you that they are they both are their own special type of hell. If someone you know and love is going through a miscarriage, a stillborn, a blighted ovum, an ectopic pregnancy, fertility struggles or loss of any kind, the best thing you can do is offer unconditional love and support, and be there to listen if they need to talk. If you aren’t sure what to say, just tell them how much you love them and that you are there for them for whatever they need. Don’t feel like you have to say something, or have a big speech prepared. The most important thing you can do is not belittle their feelings. In my case there likely was no actual fetal development, but that does NOT make it any less of a pregnancy to me. That may be hard to understand for some people, but for me, the second I knew I was pregnant, I was immediately smitten with that little bundle of cells and even though there may have been no more than an undeveloped blastocyst, there was still a pregnancy in my heart. 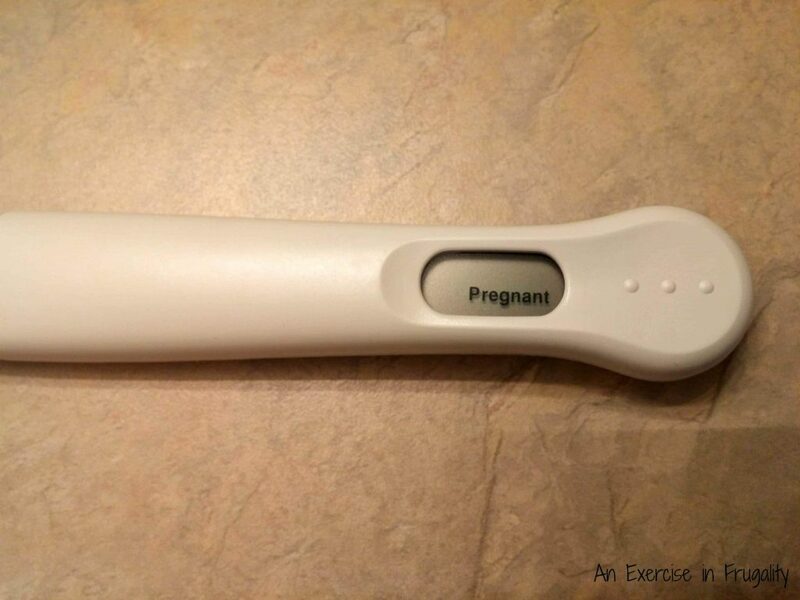 *Update: Since this post was written, I have gone through the physical process of miscarriage. I passed an empty gestational sac, which brought both sadness and relief. I originally started this post on November 4th and have been unable to share until now due to the fact that we had family members we wanted to share our loss with before going public. I have been getting lots of rest to recover from the excessive blood loss, and allowing my body to heal. My husband has been my rock through this ordeal, honoring his vows, caring for me physically and emotionally through this difficult time. I am so sorry Rose! I will be praying for your family. Thank you, Angie. Its a hard thing to put into words, but I had to try. The pregnancy positive picture above is cruel to those of us that actually lost a baby. Please remove it if you are going to write an article acting as if you sympathize. As I mentioned in the article which you clearly did not read, I DID lose a baby, twice actually, so I understand completely, however it is my site and my article, and while I appreciate your opinion the picture is to illustrate the heartache my husband and I went through so it will be staying as is. In the future, before you lash out at someone, I suggest you read the post before accusing someone of “acting as if they sympathize”.